Of all the organs in the human body, the skin receives the most attention the majority of the time. We consider whether it’s pale or tan, dry or oily, smooth or wrinkled. The appearance of skin also tells others a fair share about who we are. It can reveal clues about ancestry and genetic tendencies. One’s complexion can impart an impression of health when rosy and glowing or illness when pasty and pale. The choice of whether or not to use make up or how much of it also tells a story about who we are and what we value. When I was growing up I was preoccupied about a certain aspect of my appearance. I somehow convinced myself that having freckles and moles was the absolute measure of unattractiveness. Since I’ve had a fair share of these pigmented spots on my body, I felt as though I was ugly. A condition on the opposite end of the spectrum often provokes similar feelings in about 1% of the population. Vitiligo is believed to be an autoimmune condition that causes the destruction of melanocytes, cells that produce the distinct color of your skin. The most obvious manifestation of vitiligo is irregular shaped white patches of skin that can appear at any age and on any part of the body. There are a number of conventional treatments for this skin condition ranging from the use of targeted ultraviolent light therapy (phototherapy) to topical corticosteroids and immunosupressant drugs. In addition, various techniques can be used to disguise the appearance of the white patches including makeup and skin dyes. Note: Please check out the “Comments & Updates” section of this blog – at the bottom of the page. You can find the latest research about this topic there! As a reader who struggles with vitiligo, I found this entry extremely interesting. Thanks for offering such a wide range of findings and information of foods/vitamins that may be of help! Many thanks, Sylvia. I’m so happy to know it was of value to you. Thanks for writing about this topic…it is important to know that there are natural alternatives to treat this, as well as other skin conditions. Corticosteroids and immunosuppressants cause physiological changes that could actually worsen the condition in the long run, or cause other problems in the body. Thank you, HH. I agree wholeheartedly. knowing that vitiligo is an immune function disease im curious to know if immune suppressors are the ticket to the over active immune system – at one time i was told that i shouldnt be boosting an already wacked out immune system. thanks for the info!! always looking for natural ways to tackle this disease! i wonder about it being fungal related as so many of the auto immune diseases are? Iran Red Crescent Med J. 2014 Jun;16(6):e4515. doi: 10.5812/ircmj.4515. Epub 2014 Jun 5. Comparing Nigella sativa Oil and Fish Oil in Treatment of Vitiligo. Ghorbanibirgani A1, Khalili A1, Rokhafrooz D2. Vitiligo is one of the autoimmune skin diseases that destroy the melanocytes of the skin. Moreover, its prevalence varies in different countries and regions. The aim of this study was to compare the effect of Nigella sativa and fish oil on vitiligo lesions of the patients referred to a dermatology clinic. This randomized, double blind clinical trial was conducted in the dermatology clinic of the Imam Khomeini Hospital Ahvaz, Iran, from June to December 2011. We used a randomized simple sampling. From 96 patients with vitiligo, 52 eligible patients were selected and allocated to two groups with equal size. The study medications were applied twice a day by patients on their lesions. 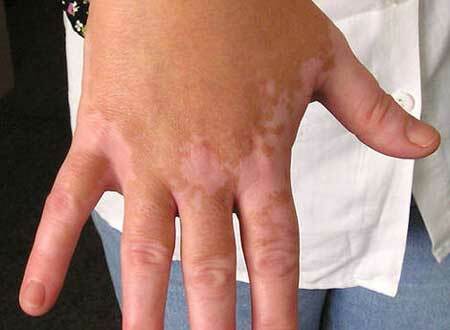 After six months, the improvement rate of lesions was assessed by the Vitiligo Area Scoring Index (VASI). Data were analyzed using SPSS v. 15; P value < 0.05 was considered as statistically significant. After six months, a mean score of VASI decreased from 4.98 to 3.75 in patients applying topical Nigella sativa and from 4.98 to 4.62 in those using topical fish oil. Most of the percent improvement observed in upper extremities, trunk, head, and neck of those who received Nigella sativa and head, neck, trunk, and feet of those who received fish oil. No adverse effect was reported by the patients. Nigella sativa oil and fish oil were effective in reduction the size of patient’s lesions; however, Nigella sativa was more effective in comparison to the fish oil. Therefore, using Nigella sativa with the major drugs in the treatment of vitiligo is recommended. I found something new and interesting facts about vitiligo in this blog. i have a question. i used to drink 2 liter milk per day from last 3 years and been noticed vitiligo last year. I am thinking about replacing the Milk with whey protein powder. is this a good decision or should i use any other alternate. If you wish to avoid dairy altogether, I would suggest a different alternative – since whey is a primary component of milk. You might consider buying or making nut or seed milks (almond, cashew, coconut, etc.) instead of using whey. If you’d prefer using a protein powder, egg white protein, organic brown rice protein and/or pumpkin seed protein are options worth considering. If you haven’t already done so, you may want to have your Vitamin D level tested. Low Vit. D may play a role in vitiligo progression. Hi JP, i gained some good information about vitiligo from this blog today. I was researching about vitiligo and stumbled across information about high level of hydrogen peroxide in body leads to greying of hair and in some cases vitiligo, as hydrogen peroxide reduces melanin production in body. I also read that catalase controls excess hydrogen peroxide in body. my question is what foods or supplements are there that increases production of catalse in body or if it even works? i am on homeopathy meds for last 6 months and it doesnt seem to be working atm. Clinical efficacy of Apamarga Kshara Yoga in the management of Shvitra (vitiligo). INTRODUCTION: Vitiligo is a progressive, idiopathic, pigmentation disorder of the skin, characterized by hypopigmented patches. This condition is compared with Shvitra in Ayurveda. Many Ayurvedic drugs are beneficial in such cases and Apamarga Kshara Yoga is one among them. AIM: To evaluate the efficacy of Apamarga Kshara Yoga in Lepa and ointment forms in the management of Shvitra. MATERIALS AND METHODS: Total 50 patients of Shvitra were randomly grouped into two. Patients registered in Group A (n = 25) were treated with Apamarga Kshara Yoga Lepa and Group B (n = 25) with Apamarga Kshara Yoga ointment for 2 months. Rasayana Churna (3g) along with Honey and Ghee was given twice daily internally in the both groups. RESULTS: Significant improvement was found in the symptoms of Shvitra with treatment in both the groups. The difference in between the groups was statistically insignificant. CONCLUSION: Both forms of Apamraga Kshara Yoga are effective in cases of Shvitra and can be good alternatives for contemporary medicines. Adult Onset Vitiligo: Multivariate Analysis Suggests the Need for a Thyroid Screening. Background. There are limited epidemiological studies evaluating the effect of age at onset on disease features in vitiligo. Objectives. To identify factors associated with adult onset vitiligo in comparison with childhood onset vitiligo. Patients and Methods. We retrospectively collected medical records of 191 patients. Such records included clinical examination, personal and familial medical history, laboratory evaluations, concomitant vitiligo treatment and drug assumption. Results. 123 patients with a disease onset after the age of 40 (adult onset vitiligo) were compared with 68 patients who developed vitiligo before the age of 12 (childhood onset vitiligo). Multivariate analysis revealed that personal history of thyroid diseases (P = 0.04; OR 0.4), stress at onset (P = 0.002; OR = 0.34), personal history of autoimmune thyroid disease (ATD) (P = 0.003; OR = 0.23), and thyroid nodules (P = 0.001; OR 0.90) were independently associated with adult onset vitiligo, whereas family history of dermatological diseases (P = 0.003; OR = 2.87) and Koebner phenomenon (P < 0.001; OR = 4.73) with childhood onset vitiligo. Moreover, in the adult onset group, concomitant thyroid disease preceded vitiligo in a statistically significant number of patients (P = 0.014). Conclusions. Childhood onset and adult onset vitiligo have different clinical features. In particular, ATD and thyroid nodules were significantly associated with adult onset vitiligo, suggesting that a thyroid screening should be recommended in this group of patients.